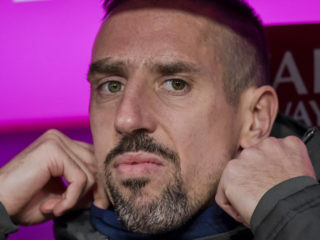 Franck Ribery has been ruled out ahead of the resumption of the Bundesliga season, Bayern Munich revealed on Thursday, as the winger reels from his golden steak scandal. 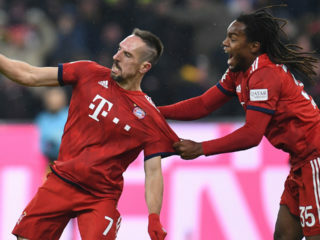 Franck Ribery has issued a battle cry before Tuesday's Champions League semi-final second leg at Real Madrid where Bayern Munich know they must be ruthless in front of goal to stage an unlikely comeback. Veteran wingers Franck Ribery and Arjen Robben will sign one-year contract extensions to stay at Bayern Munich for the 2018/19 season, according to reports on Thursday. 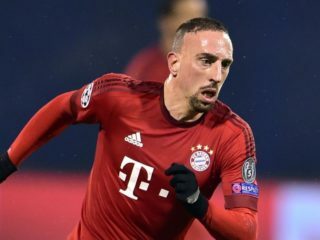 Franck Ribery warned Bayern Munich face a tricky test at Bayer Leverkusen on Friday as they resume their march towards a sixth straight Bundesliga title following the German winter break. 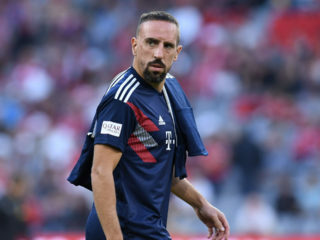 Bayern Munich confirmed on Monday that veteran winger Franck Ribery will be out for "the coming weeks" after tearing a knee ligament. 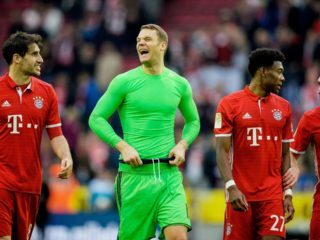 Germany legend Lothar Matthaeus has criticised Franck Ribery for defiantly throwing off his Bayern Munich shirt after being substituted in Tuesday's Champions League win over Anderlecht, prompting a passionate response from the Frenchman. Franck Ribery came off the bench to seal Bayern Munich's 3-0 win at Cologne on Saturday, extending their Bundesliga lead to seven points. Franck Ribery is back from a five-week injury lay off and will be on the bench for Bayern Bundesliga game with Hamburg this weekend, coach Carlo Ancelotti said on Friday.